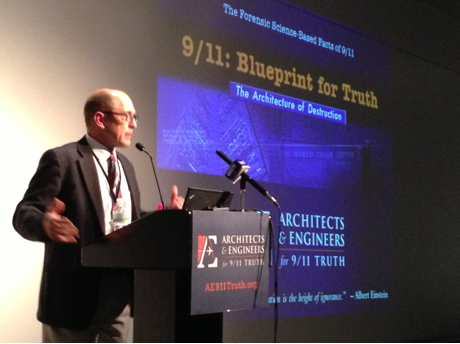 You may not have heard the great news: AE911Truth has the opportunity to be out in front of at least 10,000 architects - possibly twice that number - in Chicago on June 26-28. 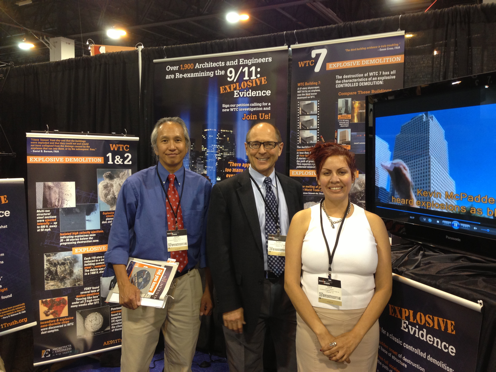 It’s the 2014 National Convention of the American Institute of Architects and, with your help, we will be there in force with our WTC evidence booth. I‘m hoping I can count on you to support us with your donation of $10 in order to ensure that we can: a) meet our expenses, b) make this the most successful wake-up call possible for this huge uninformed body of technical and building professionals, and c) persuade the AIA leadership - via the attention-gathering presence of our powerful audio/visual displays - to meet with us and include us in their future educational programs. Will you join us now to ensure the success of this unprecedented opportunity to wake up thousands of building professionals to the reality of the explosive WTC evidence – and add more pressure to the AIA leadership? This is one we can't let slip by. We live in an critical time when we as citizens can't afford to sit on the sidelines. There’s a constant push by the mainstream media to keep our message in the shadows. That’s why we urgently need you to help us push back – to make sure that facts, not fairy tales, fill the history books our children will be reading for years to come. If you happen to be near Chicago, we’re hoping you'll be able to come out and volunteer your time in this vitally important outreach event. You can assist in staffing our evidence booth, in passing out our literature and DVDs, and in signing up architects on the petition. Either way, we look forward to working side by side with you in this urgent effort to awaken thousands of architects!